This next craigslist find starts with an optimistic sentence from the seller: A junker might give me $75 for scrap, but I would rather give it away to someone who could get some use out of it than see it get crushed into a cube. Just give me a bill of sale for a few bucks for the excise tax abatement. 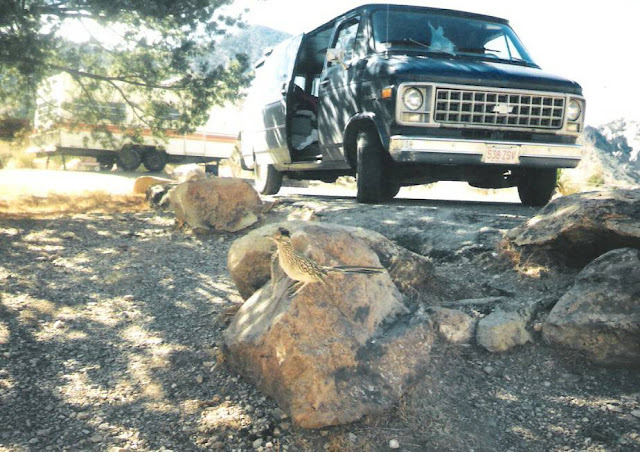 Find this 1980 Chevrolet G10 Van offered for free-to-a-good-home via craigslist. Tip from Jeff. ...and what about the Roadrunner? I had a '77 with the three on the tree and straight six. Bought it from a radio station that just pulled its gear out. Had to paint a stripe over their logo. I pounded the living crap out of it for almost 10 years in Wisconsin and it never let me down. The rusted side and rear doors were replaced with fiberglass top hinged ones. Man was it cool.